The Dracast Tulva Series features a high-output COB LED array, providing a big punch from a small fixture. The Tulva Series is available in two different power levels: the Tulva1000 features a 100W LED array while the Tulva2000 includes a 200W LED. Both fixtures LEDs have an extremely high CRI rating of 96 or above to ensure the right color for every application. The included diffuser and 360° rotating bracket improve the versatility of this lighting system. The Tulva Series is available in single color (5600K) or variable color temperature (3200K – 5600K) for even greater color accuracy. 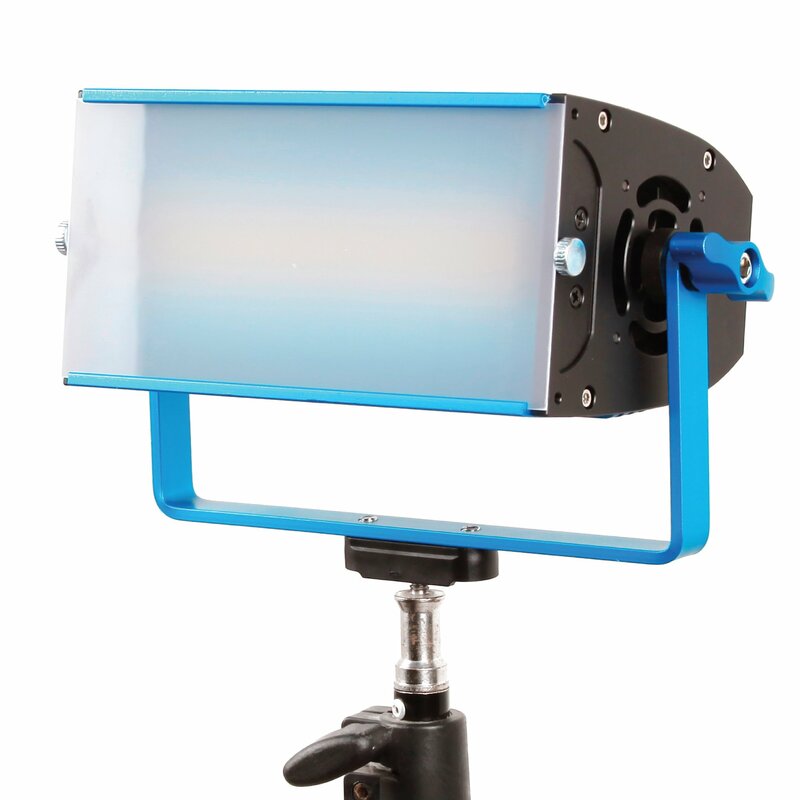 The included umbrella kit softens the output further and minimizes shadows providing a soft, uniform light source.